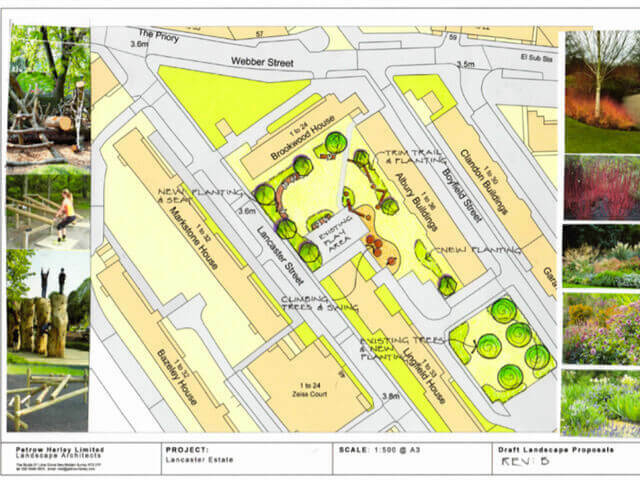 Petrow-Harley, landscape architects based in New Malden, have been instructed by Bank Side Opens Spaces (BOST) and Southwark Council to develop landscape design proposals for improvements to the open spaces within the Lancaster Estate, SE1. The Lancaster Estate was built in the 1960s as municipal housing as part of the slum clearances. 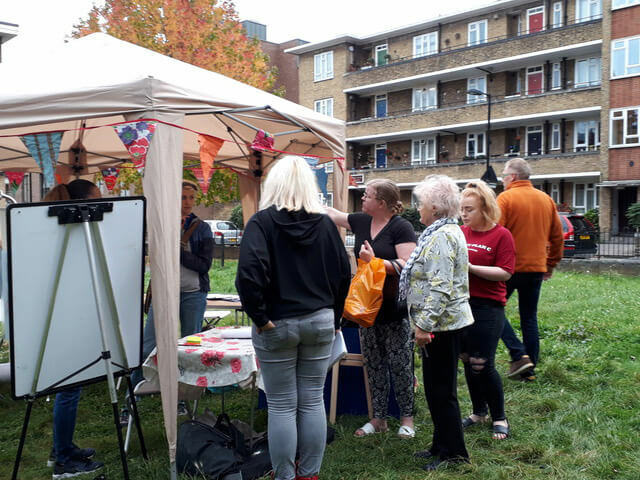 Working in collaboration with BOST, Petrow-Harley undertook a residents’ consultation exercise to better understand local needs and wishes. The outcome of which was an early masterplan that proposed the establishment of at least two pocket parks in what was deemed as visually blighted areas of the street. Creation of at least one rain garden to replace areas that were renowned for fly-tipping. Since the importance of play and exercise for residents (of all ages) was reiterated it was suggested that these interventions were connected within the theme of ‘A Landscape of Play. After drawing up a masterplan for the area, Petrow-Harley were asked to focus on the largest ‘green’ area of the estate. The detailed designs are now being produced, and the works are programmed to start on site September 2018.